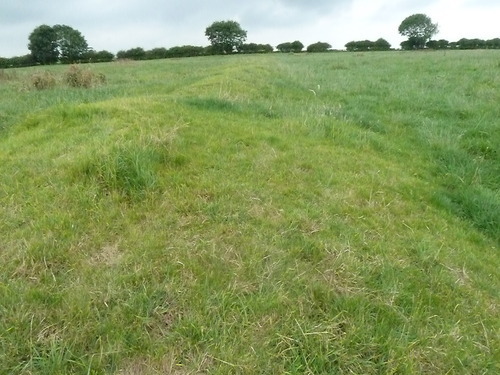 There are over three thousand deserted medieval villages in the English landscape. 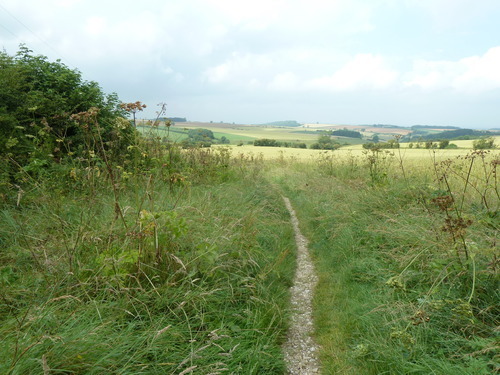 Lost under fields of wheat and barley, or somewhere in the midst of ancient woodland – and yet it is Wharram Percy in the Yorkshire Wolds that is the most famous of them all. So, having been at the Harrogate crime festival last weekend, I couldn’t miss the opportunity to visit – though I should admit straight away that my first impressions of the place were not entirely overwhelming. Some historic sights really dish out the goose bumps, don’t they? Stonehenge as it appears on the horizon from the A303. The Coliseum as you walk into the pits where the Christians waited to be led out to their death. The magnitude and splendor of the Hagia Sophia in Istanbul. 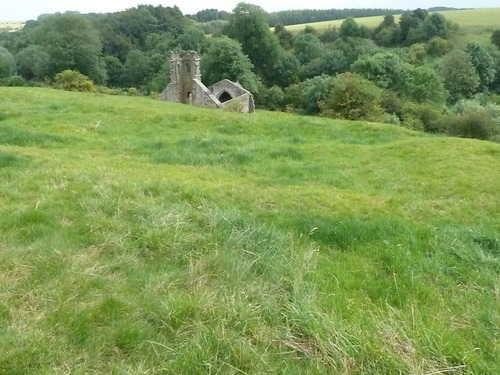 Wharram Percy, on the other hand, is much shyer with its charms – holding its history under the soil in a field of grassy bumps and pits. There is a decaying church to wander around, but no remains of the village itself, and frankly, it was hard to know what to make of it at first. View of St Martin’s Church from Wharram Percy. Well, what were you expecting, you might ask? It’s here that I have to make a rather embarrassing confession. I suppose I was hoping for the odd tumbledown cottage, a cobbled hearth, even a small length of walling or the corner of a ruin. But this is a place that requires imagination to appreciate. It’s not some theme-park or open-air museum reconstruction of a medieval village. Instead it’s simply a piece of land that bears the last scars of a community which disappeared in the 15th century, and has since been home to cattle and sheep. The only evidence that anybody ever lived here is the ridges and ditches of their cottages and the banks of their farmsteads. It is both frustrating and fascinating. Mysterious and yet well studied. Ridges showing where the village’s stone walls once were. So, after getting over my initial and rather childish disappointment, it was time to look at this place afresh – to read some of the many informative signs about the site – to learn more about its history. But therein came my second disappointment. As a writer of a novel set just after the Black Death, I had it in mind that Wharram Percy had been deserted as a direct and immediate result of the Plague. But once again, this subtle place refused to oblige. This was not a village that had suddenly been abandoned by the sick and dying in 1350. Nor had it been sealed off by its fearful neighbours, while the Plague picked off each and every person in its isolated community. It just didn’t fit neatly into my plague story at all. But that’s not to say that this village wasn’t destroyed by the Black Death – it was. Its demise, however, was long and drawn-out. 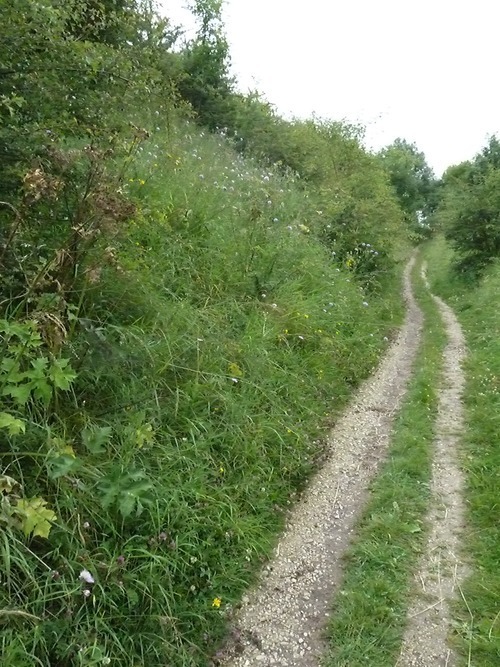 Rather than being wiped out by the infection itself, it seems Wharram Percy fell victim to the economic landscape left behind by the Black Death. The pre-plague farming practices were no longer an efficient way for the nobility to farm their lands – not given the drastic fall in population. In the place of villeins, serfs and tenants came the much more profitable business of sheep and pastureland – and over time the tofts and crofts of Wharram Percy gave way to fields and livestock, with the last four families being evicted between 1488 and 1506. This doesn’t quite have the dramatic and sensational appeal of my imagined history for the place – but this, it appears, is what happened. Wharram Percy was a remote community then. It’s a remote place now. I drove into the wolds to the east of York and then cut through the dry valleys of Thixendale towards the site, through a landscape of jaw-dropping beauty where steeply sloped gorges give way to vast open and rolling fields of wheat and pastureland. Sheep must outnumber people in this place many times over, as the villages are very few and far between. The fields above Wharram Percy. Once I had found the elusive English Heritage car park, the only way to the village was by foot, down a track said to be prehistoric. One of the deserted paths. As I walked about the site itself, along the route of the two main streets – now rutted gullies – the only sound was grasshoppers, wood pigeons and the occasional baying of cattle in a distant field. Swallows swooped about my head in search of flies. The brook babbled at the bottom of the valley. It was an incredibly, incredibly lovely place. But it was also eyrie and strange, full of the ghosts of a village that was once typical of the thriving, noisy, and smelly medieval age – where now only dog-walkers, ramblers and historians wander about with their ordnance survey maps, water bottles and cameras. It was entirely worth the visit, though not at all in the way I had imagined. 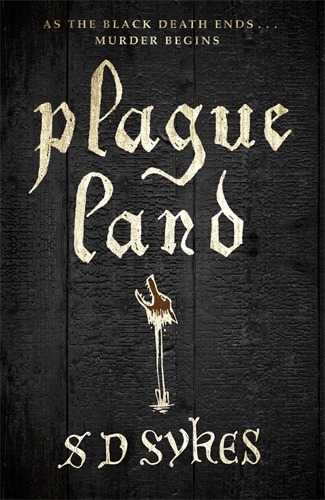 PLAGUE LAND will be published by Hodder & Stoughton in hardcover and as an eBook on 25th September. To find out more about SD Sykes, follow her on Twitter.